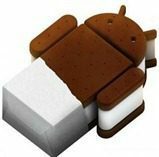 Samsung started rolling out its update to take the Galaxy S II from its current Android 2.3 (Gingerbread) version to Android 4.0 (Ice Cream Sandwich) today… but not yet in the US. The update for the popular Galaxy S II smartphone from Samsung will begin rolling out across Europe and Korea today, then continue rolling out in other countries during the following days. But Samsung did not release a date for the update for the customers in the US. Chances are it will be a bit longer while the carriers add their trinkets and clear the update for their networks. Will let you know as soon as we get any more news on this. Samsung also said they will have Android 4.0/ICE updates for the Galaxy Note, Galaxy S II LTE, Galaxy R, Galaxy Tab 7.0 Plus, 7.7, 8.9, 8.9 LTE and 10.1 coming down the pike soon, but did not provide any exact dates.